In one of my previous blog posts, What is Ethical Travel, I explored the idea of travelling responsibly and considering the impact our actions have on the lives of others. In particular, visiting attractions such as the Tiger Temple to cuddle a baby tiger, or roaming through the wildness on the back of the elephant sound like exciting once-in-a-lifetime adventures, but if we look closer at the welfare of these animals you are likely to be very surprised. Not only are the living conditions of these animals questionable, but their treatment has been witnessed by many as poor and unethical. 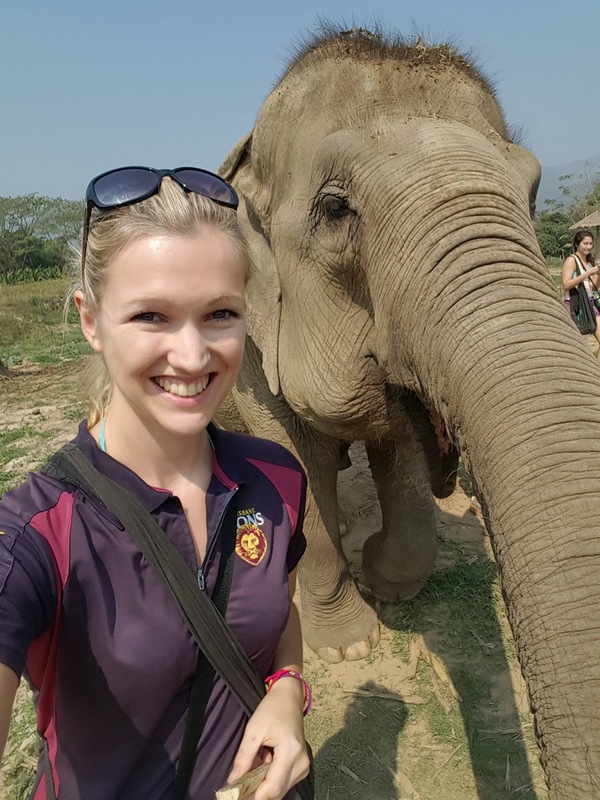 However, my aim today is not to go into the ins and outs of ethical travel, but to tell you about the most amazing experience I had whilst in Chiang Mai at Elephant Nature Park! 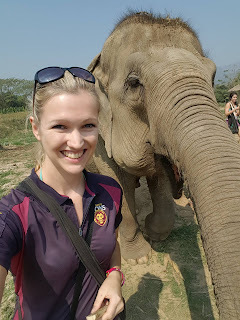 While in Thailand I went to a couple of elephant sanctuaries where you get to interact with these incredible creatures without the need to ride them. 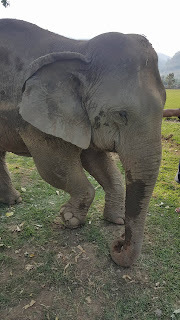 Of those I visited, Elephant Nature Park (ENP) had the best facilities for its elephants, in my opinion, and provided visitors with an incredibly unique experience assisting in showing these animals that humans can be kind. 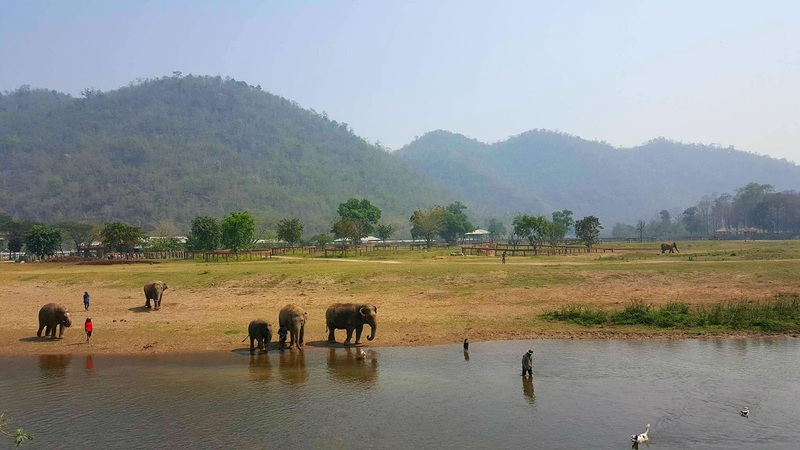 ENP provides several options for visitors to choose from, including a general day pass, overnight stay and more indepth packages where your interaction with the elephants serves a real purpose. I decided to opt for the Care for Elephants pack, which involved a full day of meandering through the forest with our small group of ellies, bathing and feeding them, and generally showing them some TLC. This particular package works with elephants that are new to the park, and that have been extremely mistreated in the past. The idea is to spend time with them treating them with kindness, so one day they can join the rest of the elephants in the main area of the park. On the day of my visit, we were told that one of the elephants was feeling unwell, and that her best mate decided to stay out back and keep her company. The staff didn't attempt to force the elephant to join in on any "tour" as we were there for them, not the other way around. Although having more elephants around is always welcome, I was extremely pleased to see this first act of kindness before the day had even begun. Our elephants, Moyo, Modee, Come Moor and Pukky, spent the morning feasting on fruit while we got to know them and learn the safety rules. After that we walked side by side with the elephants, feeding them sugar cane as we went. Another awesome thing about ENP is that at no point in time is an elephant made to do anything it doesn't want to. At other parks I saw elephants who were tidied up or chained, which I was told was for "their own safety", however the elephants at ENP were controlled with sugar cane... basically they did the right thing because there was a reward and not a punishment involved. The mahouts here also don't use hooks, which I again saw at other parks and was not impressed about. 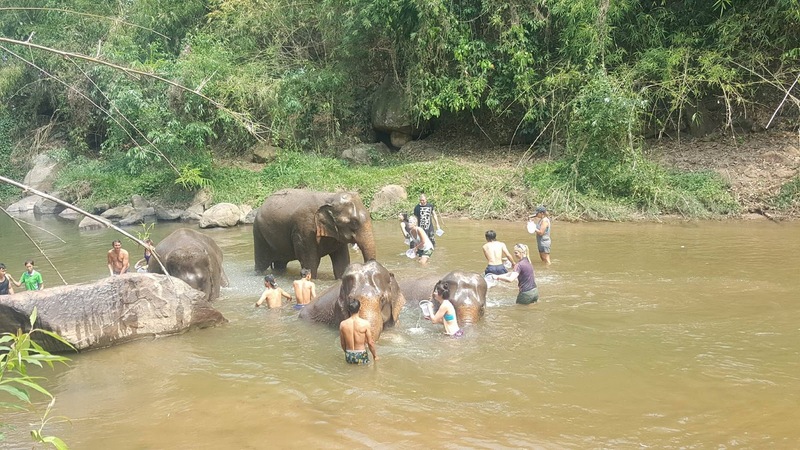 After a lovely vegan lunch overlooking the river, our elephants came down for a swim and a bath, followed by a mud fight and plenty of laughs all around. We then refreshed our sugar cane stocks and headed back to the shelter for the elephants dinner time meal. The love and care the staff have for the animals, and the gentle nature of these beautiful creatures reinvigorated my faith in humanity. It was an incredible feeling knowing that I was contributing to the future of elephant conservation in a hands on way! I just hope travellers continue to support parks like ENP and their amazing work into the future. So after our day of swanning about, we were talking to the main section of the park, which stretches across 300 acres of land, to learn a bit more about the history of the park and the elephants it looked after. Some of this was quite heartbreaking, as we met elephants who had been thoroughly mistreated resulting in blindness, permanent injuries and deformities. The story of one young elephant almost moved me to tears. Our guide introduced us to a young elephant with a serious permanent leg injury. This elephants mother had been used in the logging industry, and when she was born she was forced to walk the hills and mountains alongside her mother as it was too expensive to lose an adult elephant to care for its baby. During this time, the young elephant suffered a broken leg which was left untreated. She now lives at Elephant Nature Park to provide her with the best quality of life she can receive. However, when you meet this poor delicate little lady your heart will melt when you realise what humans have done to her. Animals suffer persecution at the hands of humans. They are taken from their homes without care or compassion. It is up to us to change this way of acting. 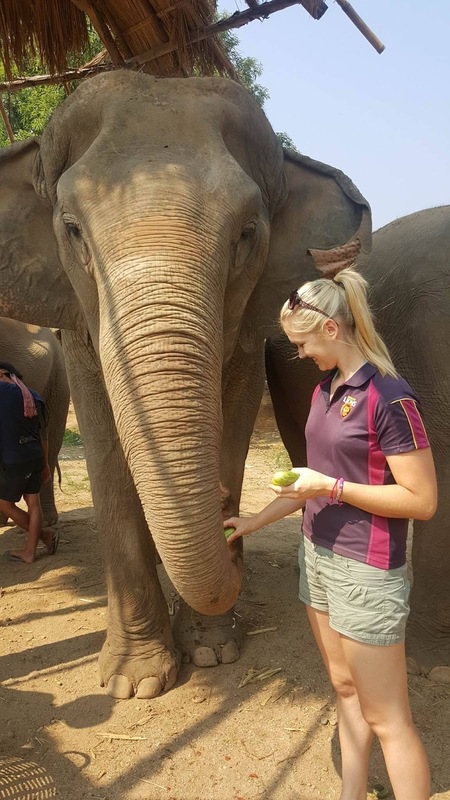 So if you manage to find your way over to Thailand, I highly recommend visiting ENP, or doing your research into the other elephant sanctuaries and paying a visit to them, to fund their amazing work at giving these animals a second chance at life!